Can I Convert A Video Into A Time-lapse Video On iPhone? So you’ve recorded a great video of something happening over time, but the video is just too long. Maybe there’s a way to speed it up. So you’re wondering, Can I convert a video into a time-lapse video on an iPhone? Yes, it’s entirely possible to convert any suitable video into time-lapse using an iPhone app. Read on for more information. There are many ways to create a time-lapse from an existing video. You will have many apps to choose from, I am just going to go over a couple. Understand what time-lapse is, and you will understand how to create one on iPhone. The essential element of a time-lapse sequence is the effect of accelerated movement or the speeding up of time. A video is shot at a specific frame rate, likely 30 frames per second. On playback, that video is also viewed at 30 frames per second, so the video possesses a natural rate of time progression. In time-lapse, you are capturing maybe 1 frame per second; maybe 1 frame per minute; maybe 1 frame in an hour, but you are using the playback frame rate of usually 30 frames per second. This means if you use 1 frame for every second, and play at 30 frames per second, 30 seconds of real-time will have elapsed during the 1 second of the time-lapse viewed on playback. In order to create a time-lapse from an existing video on an iPhone, you need only to find a program you like that will allow you to speed the video. iMovie for iOS would be a natural choice for taking a video sequence and speeding it to a time-lapse. iMovie is a well-featured video editing app for iOS, and it includes the ability to increase the speed of video. It also has the ability to select individual frames to extract from your video and create a still image. If you were so inclined, you could use this feature to select the individual frames of your time-lapse. Lapse-It is another option. 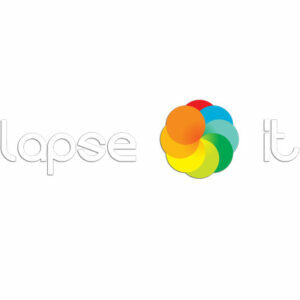 Lapse-It is a tool for capturing time-lapse sequences as well as for editing them. You can import into Lapse-It and adjust the playback speed and frame rate settings in order to get the speed and aesthetic you desire. Slow Fast Slow is yet another program to increase the playback speed of video on iPhone. SpeedPro is yet another program which will give you control over the playback speed of your videos. iMotion is yet another option. This has good import and export options, and give a lot of control over playback speed and frame rates. In conclusion, I would say iMovie for iOS is the best place to start. iMotion is another app that seems to have good features for composing time-lapse videos, whether from stills or existing videos. If you find the apps will not allow you to increase the speed adequately, you may render or export the video, then apply speed adjustments to the video after re-importing it. In other words, if you adjust the speed of a video, export it and rename it, then import the newly created video, you can adjust the speed yet again and export. Pro-Lapse is a free resource, created to help you get the most out of time lapse photography. © 2019 Pro-Lapse. All Rights Reserved.